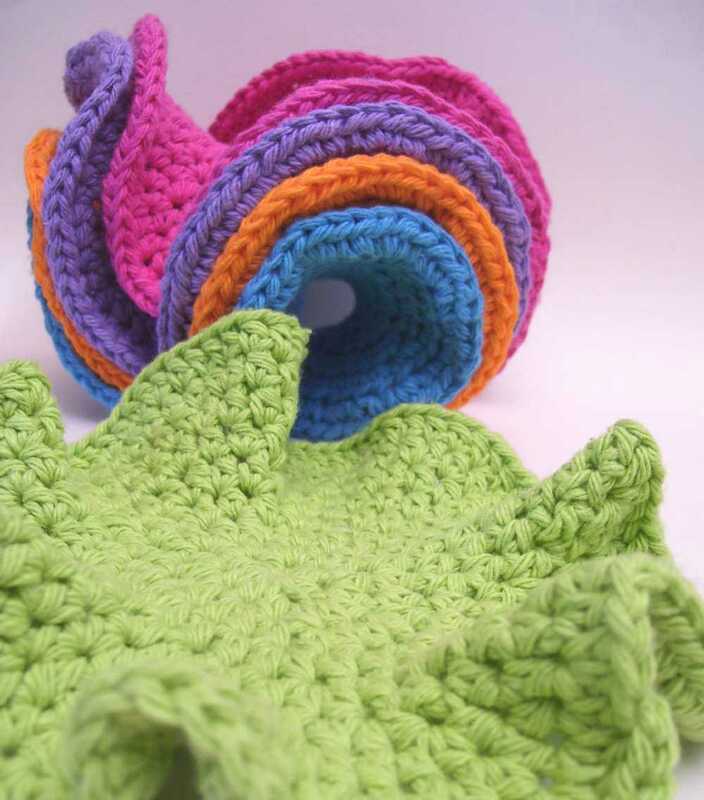 This is a crochet pattern in .pdf format (and U.S. notation) for making one of the dishcloths pictured. You’ll also need an ounce or so of a worsted weight cotton yarn, a size H (5.00 mm) crochet hook), and a tapestry needle for weaving in your ends. The finished cloth is approximately 6.5 inches (16.5 cm) in diameter. Love this pattern! So easy and fast to make. This is a most awesome pattern! It fits right into your hand, scrubs and cleans without tearing! Versatility in colors is endless! Very unique! They can even serve as coasters! And by placing two together and adding another row to combine the two, I’ve made some very useful hot pads for my friends. They like how the hot pads curl away from the hot plate or casserole dish they’re removing from the oven!